Most of the skincare products I review are topical but I’m sure many of you must have heard before that beauty is skin deep and it is just as important to look after yourself from the inside. 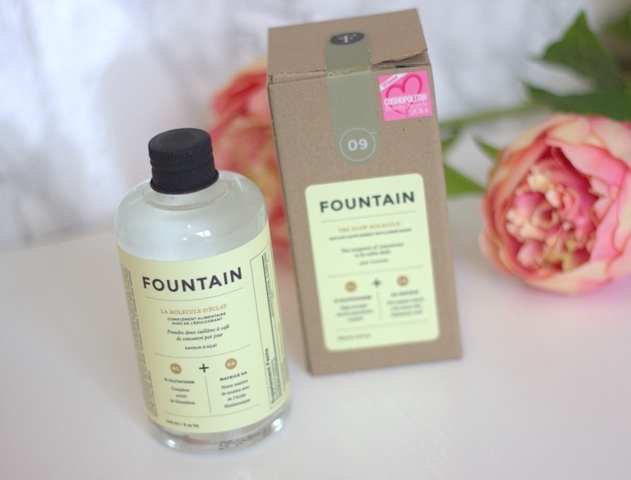 For the past couple of months I have been using Fountain’s Glow Molecule syrup as part of my skincare routine. I love the packaging, simple and scientific looking. If it has been any prettier I would have probably mistaken it as a toner to put on my face! The Glow Molecule syrup is said to give you that all important youthful glow within a week of using it and continues to give you that ‘plumped skin’ look. When it comes to taking tablets I am fine but I am not great with syrups as I generally do not like the taste. This however tastes absolutely fine and almost sweet but in a nice refreshing way. You need to take two spoonfuls every day, alone or mixed with water but as the taste is fine I just take two teaspoons. There is not horrible after taste at all. When I remember to take this daily and get into a routine, I do feel like my skin looks great! My problem is remembering to take it every day! If I have gone away for a few days and not taken the syrup, I notice a real difference in my skin which then reminds me to start taking it daily again and quick! 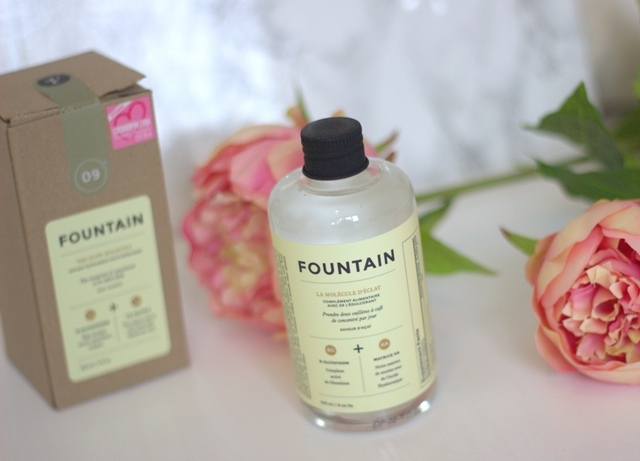 The fabulous thing about this syrup is that it has natural flavours and limited ingredients including Hyaluronic Acid which keeps your skin hydrated. The levels of Hyaluronic Acid within our bodies decrease with age and restoring levels helps to hydrate the skin cells and lubricate the joints. 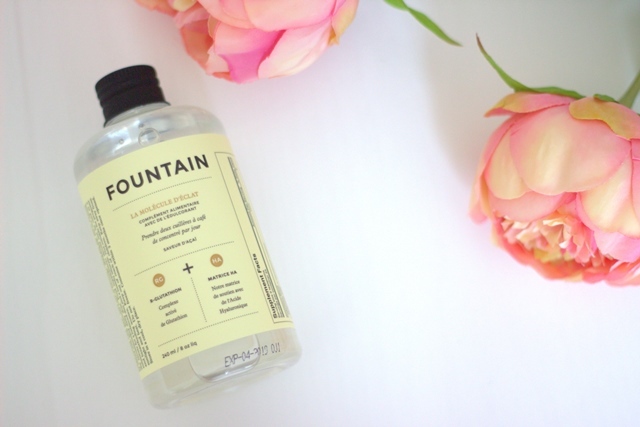 As this is a liquid formula it allows itself to be easily absorbed within the body, which means quicker results.